Luke 15: 20- And he arose and came to his father. But, when he was still a great way off, his father saw him and had compassion, and ran and fell on his neck and kissed him. This project takes a sheet of plain or colored typing paper, scissors, a pencil and scissors. 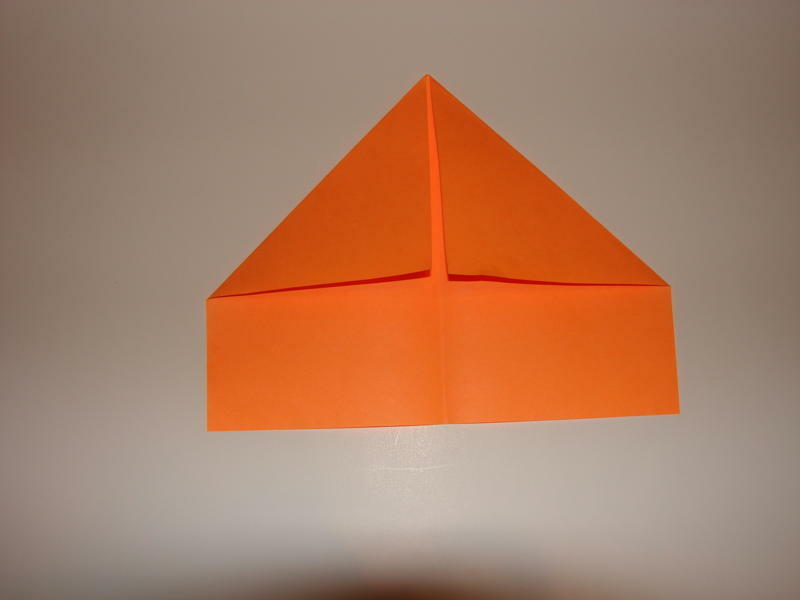 Fold the paper in half so the short edges are together. Open it up and bring the top corners of one long edge together at the crease. (See picture.) 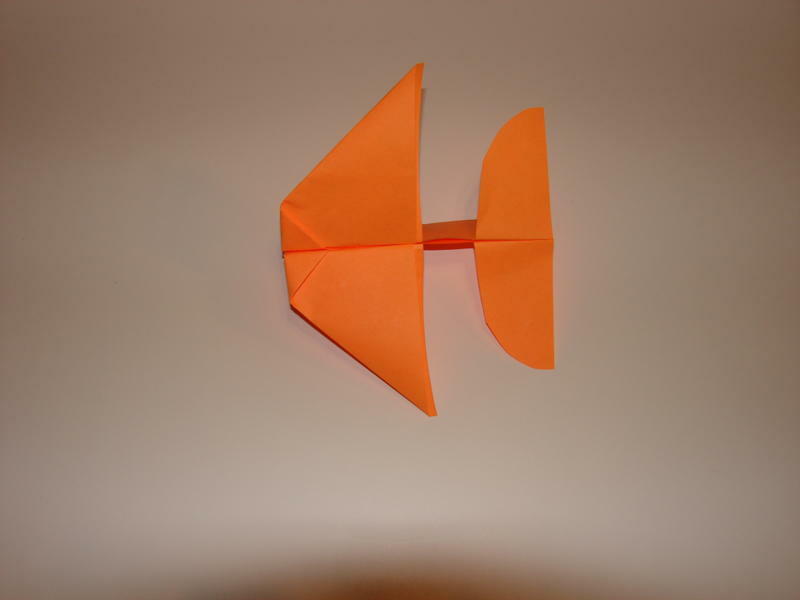 Fold the point that was formed at the top downward. 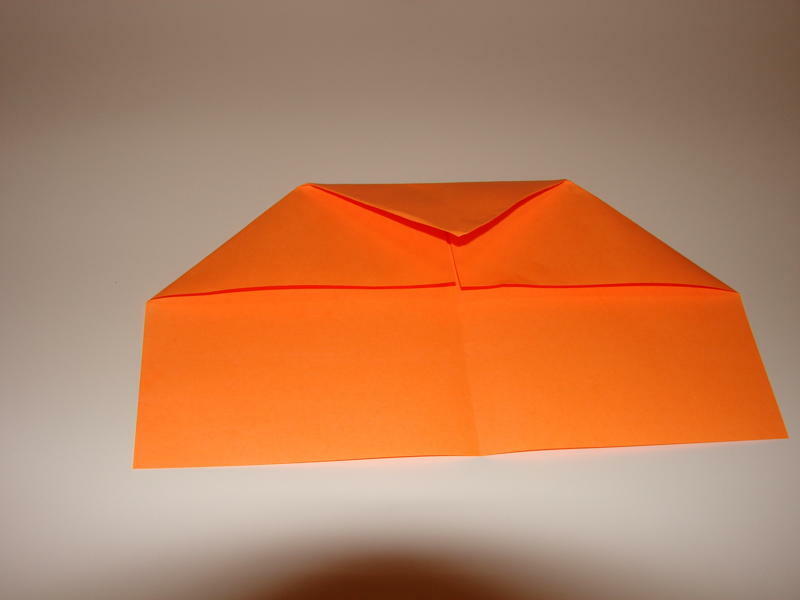 Fold the paper in half so the point is to the inside. 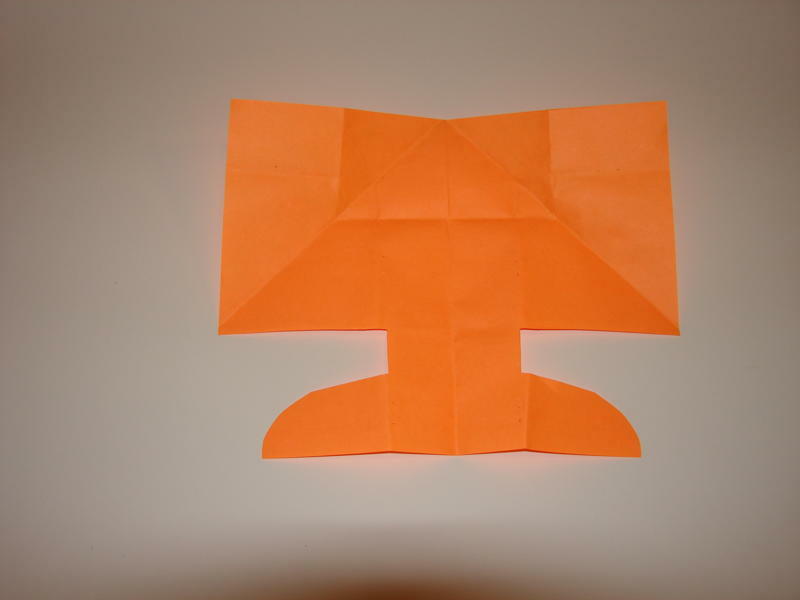 Along the bottom edge, draw the shape of an airplane tail. Be sure not to draw on a folded edge. (See picture.) Cut out the tail section. 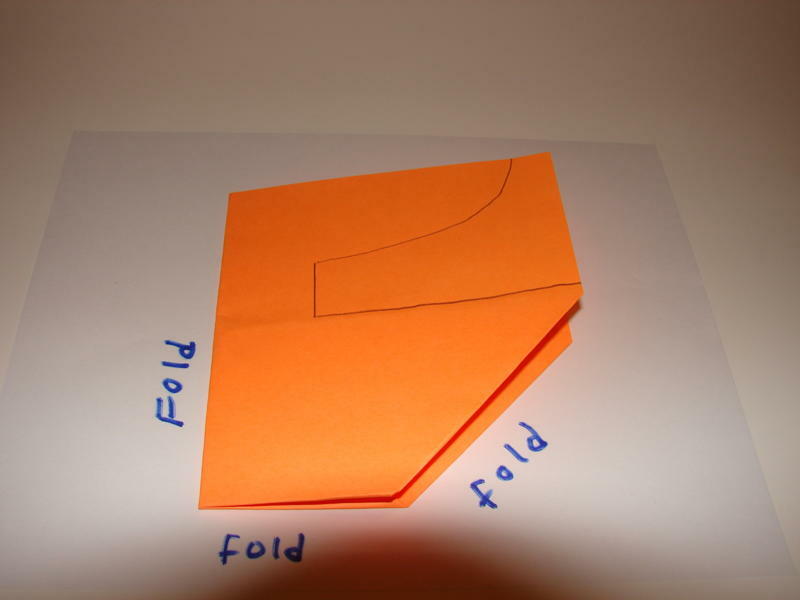 Fold the center up so you have a section to hold. Staple the plane together along that section. Fold the wings and tail down so they are horizontal to the ground. Decorate your plane. Launch the plane gently. It should fly in a loop. Be sure not to throw it at another person for safety. This airplane is fun because it comes back to you. In the Bible, there was great rejoicing when the prodigal son returned to his family. Even if we stray, God rejoices when we return to Him. God waits patiently, with loving kindness to restore us when we return to him with humble hearts. He offers us everything in his kingdom and does not even dwell on our past disobedience. God will run to meet you if you turn to Him. Prodigal Son Snack "Corn Husks and Mud"